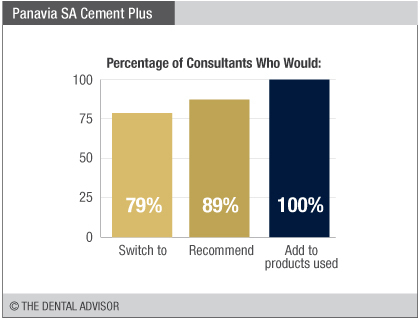 Panavia SA Cement Plus was evaluated by 28 consultants. 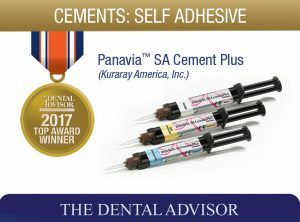 PANAVIA SA Cement Plus is a dual-cured, self-adhesive resin cement. 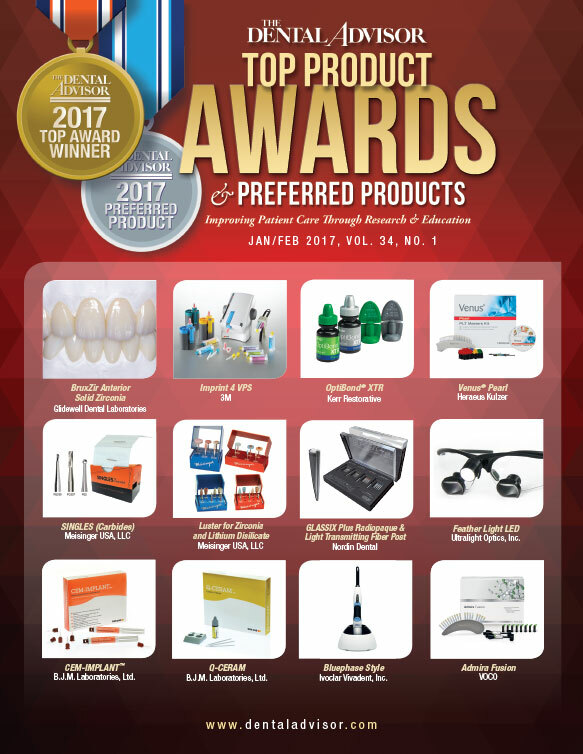 It is indicated for the cementation of crowns, bridges, inlays, onlays, posts and cores, implant restorations on abutments and frames, and for adhesive bridges and splints. 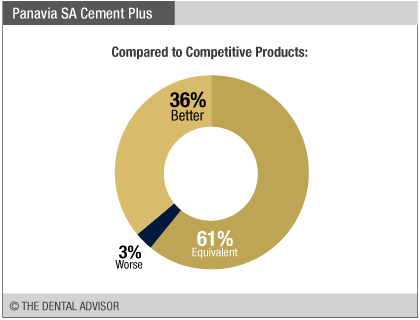 PANAVIA SA Cement Plus bonds to enamel, dentin, metal, and zirconia. 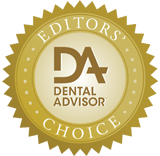 It can also be used to bond lithium disilicate restorations, provided CLEARFIL CERAMIC PRIMER PLUS is used first. PANAVIA SA Cement Plus is tolerant of moist and dry tooth structure during bonding and has a working time of 1 minute after initial dispensing and 40 seconds after seating. When light-cured, tack-curing takes just 2 to 5 seconds and final curing takes 10 seconds. When self-cured, tack curing takes 2 to 4 minutes and 5 to 7 minutes at 99°F and 73°F, respectively, and final curing 5 minutes and 12 minutes, respectively. 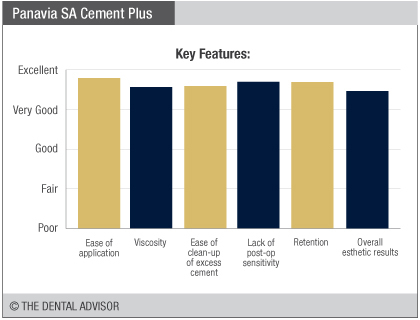 PANAVIA SA Cement Plus offers excellent bond strength and viscosity, and releases fluoride. Cleanup is easy, with excess peeling away after tack-curing. It is packaged in 8g automix syringes in translucent, universal and white shades, and comes with 20 mixing tips that are used to mix and extrude it directly onto the restoration being cemented. Hand mix syringes are also available.